Review and information about XIAOMI MI A2 which is comes to market at July 2018. Please note, we are not saying that XIAOMI MI A2 is not good, but this information will give other perspective from our point of view. XIAOMI MI A2 is Android smartphone which at some market also call with XIAOMI MI 6X. What is the differences Between XIAOMI MI A2 vs XIAOMI MI 6X. The main differences is Android operating version. The XIAOMI MI A2 use native Android One operating system while XIAOMI MI 6X use MIUI 9.5 together with Android Oreo 8.1. 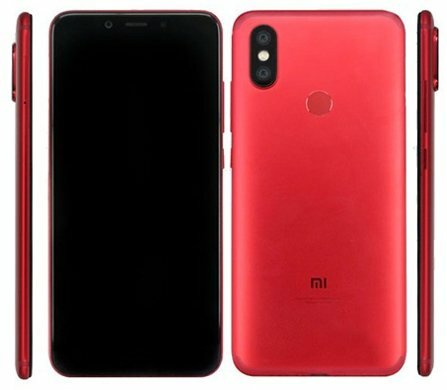 XIAOMI MI 6X release more earlier in the market then XIAOMI MI A2. This phone use almost 6 inches LCD screen with at 5.99″ using 1080 x 2160 pixel, use 18:9 aspect ratio. The slim round body make it easy to hold. We will not find any button at left side body, but all button for volume and power button located at right side of the body. At front body the top and bottom frame still available for front selfie camera, speaker and sensor. Front camera use single 20 megapixel and at back side of body we will see dual camera 12 megapixel + 20 megapixel. The LED light flash is available in the middle between dual camera at rear body. The camera are located at left top corner like iPhone X camera location. We can access easily fingerprint sensor at back side of the body. All locations of camera and fingerprint sensor are good to make it easy for access while unlock fingerprint security protection and will not accidentally touch the camera with our finger. XIAOMI MI A2 / XIAOMI MI 6X is mid end smartphone, it have several options for internal memory. 128 GB ROM + 6 GB RAM or 64 GB ROM + 4/6 GB RAM or 32 GB ROM + 4 GB RAM. Of course the smallest internal memory or ROM is the cheapest selling price. Basically using 4 GB RAM is enough for standard or busy users multitasking, only big applications will use more RAM like camera or some apps like that. However, this phone will not get any troubles when big camera work together, because Android will smartly close not use applications when this phone need more RAM. But if we use 6 GB RAM then more applications can work for multitasking. XIAOMI MI A2 / XIAOMI MI 6X use Qualcomm SDM660 Snapdragon 660 processor which run with Octa Core processor 4 x 2.2 GHz Kryo 260 & 4 x 1.8 GHz Kryo 260. This is 64 bit processor with 14 nm technology and have better battery power performance usage. We can have good GPU (graphic processor unit) Adreno 512 for 3D HD games without lag. Qualcomm SDM660 Snapdragon 660 processor able to work for optical zoom and have 2x image sensor processor (ISP) to make camera work faster with zero shutter lag and fast hybrid autofocus at any situations. This phone have dual rear camera with 12 megapixel using aperture number f/1.8 and the second camera is 20 megapixel use same aperture number f/1.8. This aperture number is good enough to take more light at any situations. Almost mid end camera will take good pictures at outdoor bright light, but some camera get worse when taking at low light indoor situations. Therefore XIAOMI MI A2 (MI 6X) use bigger aperture number f/1.8 to give better experience for all photo or video recording result. The same aperture number also use at front selfie camera, it have 20 megapixel with f/1.8, but the drawback of front camera does not have LED light flash, we need to activate screen light for taking selfie photo or video at very dark situations. Is XIAOMI MI A2 (MI 6X) Worth To Buy ? Yes, this phone is recommended to buy for anyone who want to take advantages from native Android One version. It will have Android P version upgrade when it is available. The prices is not too cheap but not expensive as well. The dual camera with 12 megapixel + 20 megapixel with good aperture number f/1.8 are good point from XIAOMI MI A2 (MI 6X). This article is talking about disadvantages mi a 2, drawback in mi A2, mi A2, mi a2 advantage and disadvantage, mi a2 advantages, mi a2 advantages and disadvantages, mi a2 disadvantages. You can find other topic at our related post bellow.